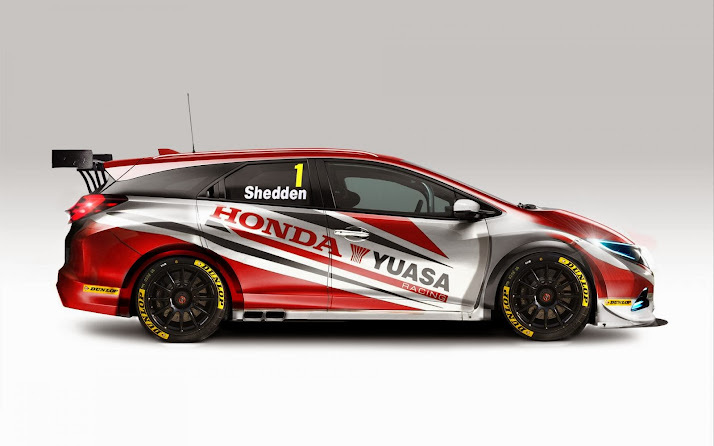 Honda Yuasa Racing team revealed their Civic Tourer race car for the 2014 British Touring Car Championship. We are used to see a lot of hatchbacks in the BTCC but it's been a long time since we saw a real estate in the series. But it doesn't seem that this trend is coming back since the Yuasa's Civic Tourer will be the only estate on the grid next year. The race car is powered by a 2.0-liter four cylinder engine producing 300 Hp. You will be able to see this beautiful racer go for some wheel to wheel action next March when the season kicks in at Brands Hatch so stay tuned!